How many times have you had the experience of website taking too long to load? When you are running a WordPress site, it will seem really fast at the beginning. But over time you will realize that your site is slowing down and is not performing as it once used to. So what can be the possible reason for that and how you can prevent your site from slowing down to the point of irritation? Well the solution is right here in the form of WordPress caching plugins and this article will be all about some of the popular caching plugins, its benefits, features and more that are used in WordPress sites all around the world. But before we move onto more details on the plugins, let’s take a quick idea about what caching really means and how it works in WordPress sites. What Do You Know about Cache? Let’s find out Briefly How It Works. While on a computer when you try to get quick access upon request, the cache is something that temporarily collects stored data. All these data are usually stored together in the hard disk of the computer. So when someone requests for these data, the computer presents the requested information after running several processing grids. By storing the frequently requested information in a temporary memory, caching resolves the issue by fetching the information quicker. 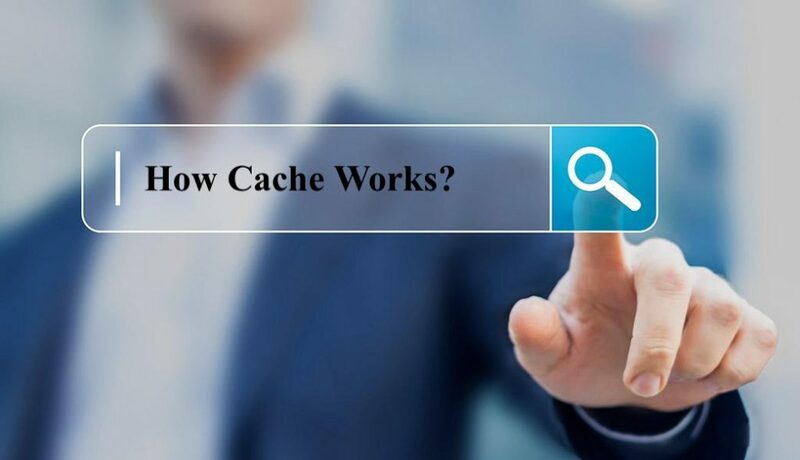 This same cache mechanism can be applied for your WordPress site as well when you are required to load your site quicker improving its performance. As a vast content management platform, WordPress requires this concept of cache to make the site load faster. Basically it just helps your WordPress site fetch the required information onto the user’s browsers after performing several other steps collecting data from the database every time a user visits the site. When many users use the WordPress site at the same time, it tends to slow down the processing time while they are in it. But when the caching is working, it enables the WordPress site to dodge a few steps instead of going through the complete process of page generation every time. After you have loaded a page for the very first time, your caching normally copies the page you visit. And then from the cache memory, it provides the stored version of the page to all the following users trying to visit that page. Caching plugin is important. But Why? We have already spoken about how a website slows down after a while of usage. Now what a caching plugin does on your website is that, it generates pages with static HTML to save it on the server. So whenever a user tries to visit your website, instead of processing the relatively heavier WordPress PHP scripts it presents the lighter HTML page. As a result the caching plugin help enhance page loading time. Apart from boosting the speed of your website, there are other ways by which you can realize that having caching plugin in your site is more than essential. Here are some of the common impacts and importance of using a caching plugin. Conversion Rates: Based on reliable stats of Kissmetrics, almost 40% of the visitors lose their patience and leave a site if the website’s loading time takes even a little longer than usual. So more people leaving your site quicker means, if you have a business website, you are losing out on more customers decreasing your conversion rates. Nowadays even a single second of delay may diminish your conversion by 7%. So keeping your website fast and moving with a caching plugin can improve the rate of your conversion in no time. The impression of Website: The image of a website also gets hampered when your site frequently takes too long to load. As a normal visitor, you would want to visit a website that takes minimal loading time. Even an increment of a few seconds of page loading time can spoil the impression of your website among users. So using a good caching plugin can always save you from the negative implication of your website. Search Engine Rankings: More than twice, the impact of a caching plugin related to the speed of the website. Even for a good ranking of your content in google search engine you require to keep the page speed of your site optimized as Google uses page loading speed as a determinant element of where to rank your content in the results of its search engine. So if you have a slow website, there is every chance your content will land inside the latter position of google search engine page results. But, all that can be improved by optimizing your webpage speed with a proper caching plugin. Overall User Experience: When a user can roam around a website smoothly, then that user is likely to spend more time on that website. They would also tend to visit more pages of the same site more often. This decreases the bounce rates of a website that runs swiftly. As people’s attention shifts very quickly nowadays so it is really important to keep the users occupied providing them a good user experience when they visit your website. They wouldn’t even be interested to wait around even for few seconds for any page to load. So the faster the website, the better is the overall user experience they get. Not just the user-experience it also uplifts the engagement and escalates the time a users spend on that website. So, it can be said that if you are looking to improve your conversion rates, user-experience of the visitors and site’s SEO, then getting yourself a caching plugin for your WordPress website should be something you should consider. But the big question is, with so many good options available, how would you find out the one that is most suitable for your website? Well, if you are looking for this answer then this post might help you do so. This write up will highlight and feature some of the popular and widely used WordPress caching plugins to watch out for in 2019. Hopefully, before the end of this article you will be able to determine the caching plugin that is best for you to speed up your WordPress site. This is a free caching plugin introduced to the WordPress community by Cloudways. With this you get to optimize your webpage at various level. It uses advanced caching system that works equally well with WordPress, WordPress multisite & WordPress with WooCommerce. With its unique optimization ability and zero coding requirement, Breeze improves the speed and resource of your WordPress site. It's more popular feature includes minification, database cleanup, simplified CDN and much more. This is one of the most popular WordPress cache plugin developed by team Autommatic, the same team behind the success of WordPress.com. With over 2 million+ active installs worldwide, this awesomely designed plugin doesn’t really require much introduction for itself now. The plugin is super useful in conditions where generating static html files is required from your WordPress. Ranked by speed this plugin serves cached files to its user in 3 different ways. Expert, Simple and WP-Cache Caching. Custom caching using add_cacheaction() function. Developed by WebSharks.Inc, this popular plugin comes in with both free and paid version. One of its unique feature is its ability to cache the logged-in users. It enables its users to gain the insights of the cache statistics right into the status of their site cache. Moreover it helps the user to serve cache files on their site from the Content Delivery Network of their choice. It is being rated quite highly by the WordPress users and was found to be a compact cache solution in most test results. The cache engine of this plugin improves the performance of your website in quite an efficient way. It is more widely known for its capabilities of creating and storing the static HTML files on the dedicated servers. It has a vast collection documentation that demonstrates a wide range of plugin feature and functionalities. And unlike most other free plugin, this could come in real handy for the first time WordPress users. In the plugin library of WordPress, this free and open source plugin is considered as a top quality cache solution that enhances the speed of any website including the performance of the server. It allows integration with CDN and is mostly recommended for users who desire an easily configurable plugin. The plugin is always kept well updated and maintained by its developers. It works quite well in mobile friendly environment as well as in desktop ones. 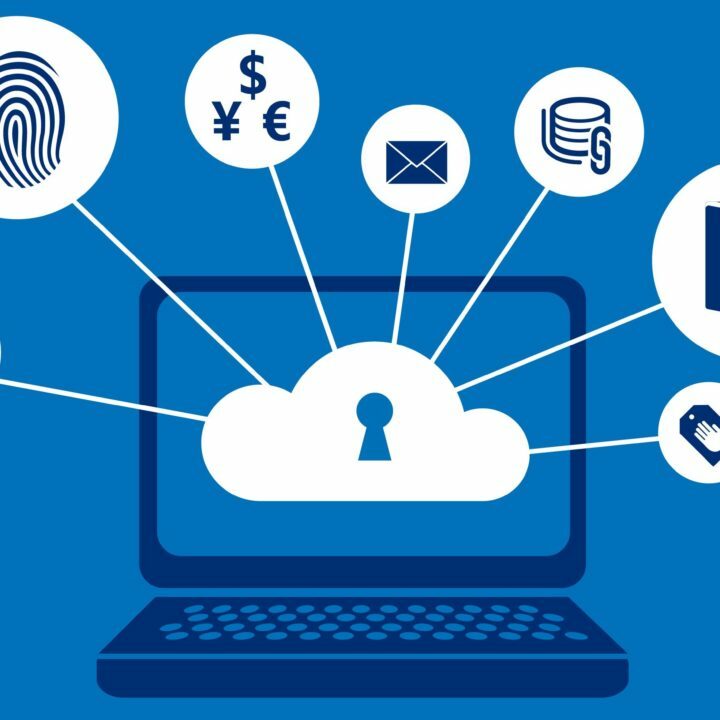 Moreover this plugin supports Secure Socket Layer (SSL) suitable for eCommerce business sites and is also in the recommend list of many big business companies. Similar to most other free caching plugins, WP Fastest Cache comes with a reputation of having less customization option than others. In simple words its suitable for average users who doesn’t like the complexity of customization. Just like its title, the plugin is known to be a simple but a compact one with the easiest one-click installation feature. It claims to be able to handle huge number of traffic keeping the site’s performance intact. Users not willing to get into complex settings of plugins will simply enjoy using it. More importantly with the plugin, if a user requires to get advanced with the object caching, an advanced mode option will automatically setup the BatCache and Memcached/Redis. Any admin of the WordPress site looking for a complete server level cache plugin, this is the plugin they should get. This tool is also known as an site acceleration plugin simply due to its exclusive collection of web page optimization features. There is no compatible issue as the plugin supports multisite and is compatible with most well-known plugins, that includes WooCommerce, bbPress, and Yoast SEO.But for best result the plugin is advised to be used with LiteSpeed Web Server. Hugely known for being a totally free and without any pricing plan plugin that includes all the features up for download. It is a PHP based plugin nicely usable in both cheap hosting environment as well as with high-end servers. More essentially, it consists of uncomplex configuration procedure and works on any WordPress blog. The plugin is also known to be beneficial for blogs with lots of comments, as, in order to serve cached pages to users who comment on blogs, the plugin delivers certain options for it. With the plugin, the mobile and desktop users also get separate caches to make it a good use to keep their site faster. Zeroed-in on Your Caching Plugin Yet? So are you able to narrow down your decision on choosing any of the above featured free caching plugins for your WordPress website? If yes, then our intention of reaching out to all the WordPress users englighting about some of best caching plugin available was successful. Meanwhile let’s check out various speed and performance test report charts below to get a better idea about how some of the top caching plugins are actually performing in real world. All the above test report chart has one plugin leading in most of them. But we didn’t feature it in the list of the plugins above. It was simply because it doesn’t have a free version and only comes as a premium application solution. And now as the result of the speed test report suggest this is a caching plugin that can be considered as a more sophisticated solution for the WordPress users. So let’s learn a few insights about this superior premium caching plugin. It can be a tough ask to survive as a lone paid plugin when there are already a huge number of free plugins that offer almost similar features. It can indeed be a difficult task for a paid plugin to create a niche in the market when you have competition from all the free plugin around it. But WP Rocket has done it successfully holding the quality and standard it promises to it paid users. Now when it comes to its promise of loading the WordPress web pages to load faster in just a few clicks, it lives up to it as the plugin is already considered to be one of the most powerful paid caching plugin out there in the market. The basic starting plan of this plugin starts from 49$. The plugin requires minimum configuration for its users with no coding necessary. Like the plugins mentioned above, there are endless number of free & premium WordPress caching plugins available online. But the chosen ones here are what we felt needed special mention for the WordPress website users. Moreover choosing the right caching plugin for your WordPress site can sometimes be a daunting task for many of us. Most certainly by now we have established the fact that caching is highly germane for your website but what is even more important is the set up of the plugins that boosts the speed and performance of it. So after properly utilizing your thought on all the featured caching plugins above anyone can put it to its purpose for their website. Hopefully, the idea shared revolving around the cache plugins for WordPress websites here would come into good use for anyone who still hasn’t decided to choose a cache plugin for their website. And for those of you who are already using one, do share with us your experience and thoughts of using it in the comments section below. Tarun loves to write and play with the words. He likes to write about anything that excites him. Apart from being a content marketing warhead, he is also a very tech-savvy person. Learning about new technology and keeping himself updated with the modern tech world is something he relishes the most.